In the month of April I completed four books, which is an outcome I'm pretty happy with given the state of my reading in the month. Throughout March and April I have been experiencing a reading slump, but I do feel like I'm over the worst of it now - thankfully so! The first book I finished was our book club pick for the month: The Breakdown by B.A. Paris. I had only read Behind Closed Doors by the same author back in February, and was blown away by that, so was keen to delve into her newest novel. Overall I had an enjoyable reading experience of The Breakdown, and was still captivated by the writing style of the author, however it didn't entirely live up to the experience I had with her first novel. I will keep an eye out for more writing by B.A. Paris. You can read my full review of The Breakdown here. Although it was my first book completed in April, I didn't actually finish reading The Breakdown until the 21st of the month. Knowing the month was soon ending, and Dewey's 24 Hour Readathon was not far off, I wanted a short book to delve into next and opted for We Have Always Lived In The Castle by Shirley Jackson. I'm currently working through the writing of Shirley Jackson, and this particular title didn't disappoint. The last two books I read in April were my readathon titles, and both completed within a 24 hour period. Cecelia Ahern is one of my all time favourite authors, and I'd saved her newest YA read specifically for the readathon; being that it was second in a duology I knew I would need my memory jogging on the finer points of the first. I started the readathon with Flawed by Cecelia Ahern, and breezed through it, following up with Perfect by Cecelia Ahern. I thoroughly enjoyed both of the reading experiences, and getting reacquainted with Celestine (main character of the dystopian YA series). I rated both of these titles four star reads, however I haven't reviewed them currently. I've ended April with bookmarks in Pride & Prejudice (a reread) + The Secret Library by Oliver Tearle (a non fiction read). Happy reading in the month of May! Some months are definitely better than others - I struggle with that throughout the year, too. Any reading is better than none. :) I felt the same way about The Breakdown. It just didn't live up to the first book by the author. I'd heard a lot of people express those views on The Breakdown, and having now read it myself I can definitely see why. Glad to hear you're coming out of you slump! I think I'm falling into one..sadly. Oh no... Sorry to hear that, Sarah! I’m glad your slump is over! Congrats on finishing so many books during the readathon. I finished 3 during Dewey’s and had lot of fun. What a great readathon result for you, AJ! I hope so too! 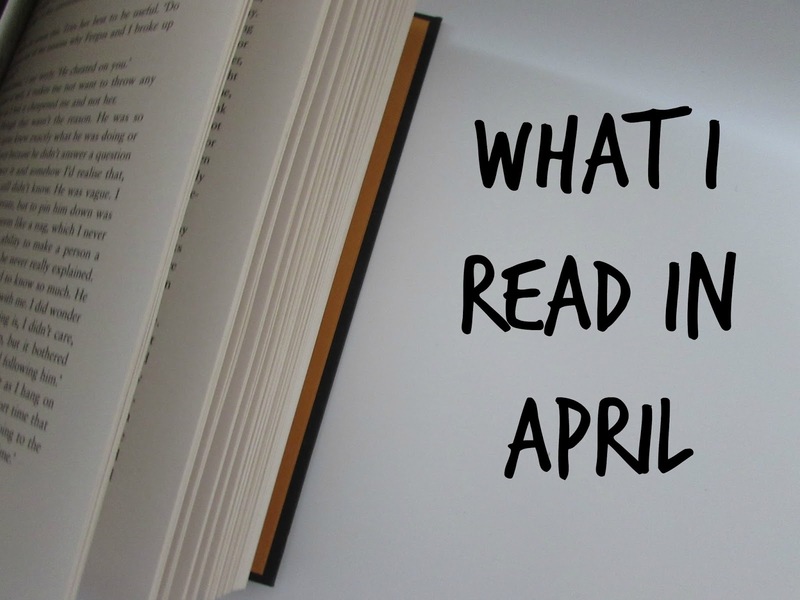 Happy reading in May! Sounds like you had the perfect plan for the readathon. Glad you enjoyed it!